Today I flew from Haiti to Tokyo. 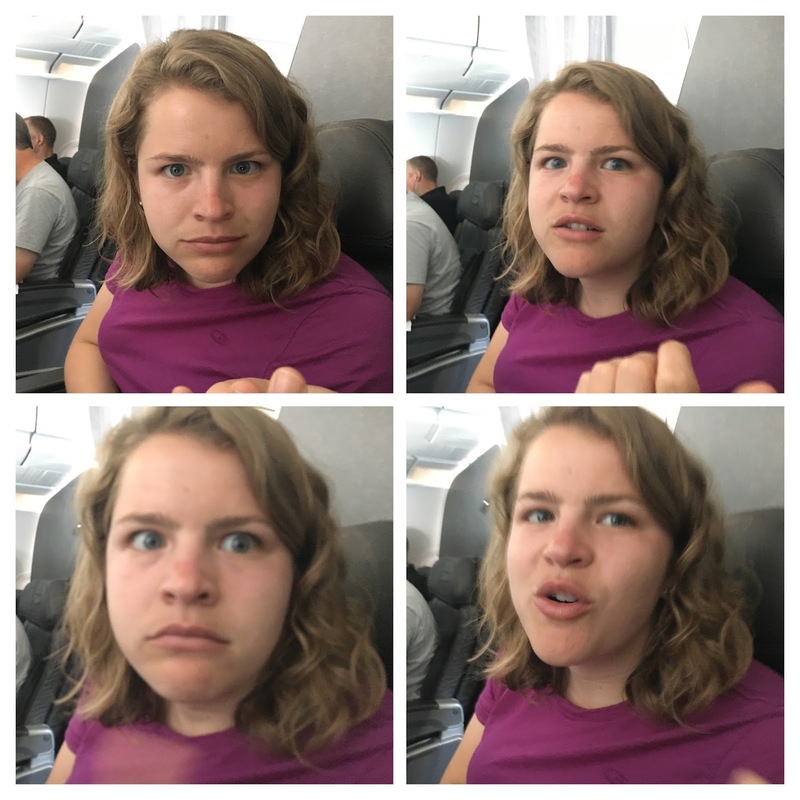 I talked a little about how and why I did this in my previous post, "How to Be an Airline Mile Monstar All the Way to Asia". In case there was some small, small part of me that wasn't ready to leave Haiti, when I woke up there were lots of tiny little things all over the sheets. Upon closer inspection, they were bug wings. No bugs, just their wings. My theory is a bunch of bugs got sucked into the air conditioning and chopped up and it didn't have a very good filter, which then showered me with bug pieces in my damn sleep. Taxi! I was sad we weren't going to see the Miss Universe Haiti casting call but sacrifices had to be made. I love a good cab ride. It affords the opportunity to take a lot of pictures of everyday life that I might be too scared to take outside of the cab's magical protection. This is one of those situations where I'm not sure if I feel more safe or less. Flying an American airline from a far off place is magical because I feel like I'm back in the US as soon as I sit down. And being in business class didn't hurt either. 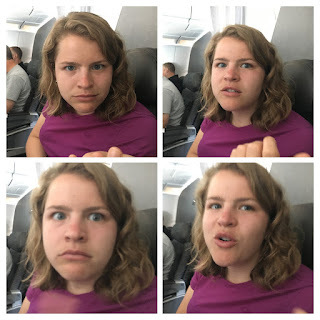 Lydia ate some delicious things on the flight. Our itinerary today was a beast: Cap Haitien-Miami-Phoenix-San Diego-Tokyo. This is the first time I've ever had an airbag in an airplane seatbelt. I saw an orange glow through the plane window in the Phoenix area. When the flight was over I asked the pilot if it was a forest fire. He didn't think so. Dumb ol' pilot. Our big flight is on JAL (Japan Airlines) so I was excited to see what sort of club lounge they were rocking. It wasn't theirs exclusively. It was like a third party company that several airlines shared. Lame. JAL business class. Oh my. Look at these freaking seats. They were like little space ships on a course to planet comfort. The safety video was very Japanese and amusing. I think this is the procedure for if Godzilla is spotted inside the plane. Fancy Zero Halliburton amenity kit. Halliburton cases were used to bring Apollo 11 moon rocks back to earth. Now they're used to carry tiny toothbrushes. The window's shaded themselves with a push of a button. The seat had more buttons than an Apple Store. Especially cool were the "relax" and "sleep" settings where the seat would transform into a bed or just lean back nicely. They gave us these cool JAL branded cardigans. Mine didn't fit but I put it on anyway. And then began 11 hours of champagne. Our meal started off with an amuse-bouche of "seafood gazpacho" and "musk melon mousse with prosciutto". According to Wikipedia amuse-bouche is "a single, bite-sized hors d’œuvre" that is not ordered but provided by the restaurant for grins. In fact amuse-bouche in French translates literally to "mouth amuser". We could choose a Japanese or Western meal set. I think you can guess how that turned out. I'm too lazy to type what all of this stuff was, but it truly was a selection of seasonal colorful delicacies. Once I was done shoving food in my face I put my chair in bed mode and did some pondering. "If I order two cakes, I can have my cake and eat it too." The plane's toilet even had an electronic douche, which is coincidentally what people called me in high school. We inquired about the two sake choices (in Japanese they call it nihonshu, only bush league amateurs call it sake). Our awesome awesome flight attendant was like "please try both". What a genius. After a nap I found myself having one of my classic "cheese burger, ice cream, fruit plate, Rémy Martin Cognac" cravings. You know the feeling. I was stretching my legs in the little lobby area and a flight attendant suggested I take off my shoes and step on this half slice of bamboo on the floor because it would be good for my health. Ok? With my health taken care of I got back to eating and drinking. Rice paddies gleaming in the sun. Then we landed in Tokyo, where the local time is: tomorrow. We hit the Airbnb, dropped our bags, then no rest for the wicked, hit the streets of Tokyo. The famous crazy criss-cross crosswalks of Shibuya. I figured our first meal would be sushi. Why not? Nothing but the fattiest tuna for my girl. I'm definitely awaiting for the time in which I can return to Japan again, which is in the future time from now.